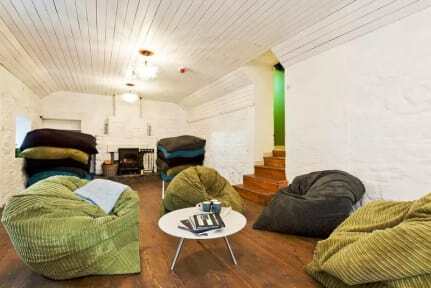 The elbowroom escape is a treasure nestled in the Wicklow landscape. Feel the release of tension as you arrive at this location to find your very own slice of heaven. Comfort and style are extremely important to us and this is reflected in the accommodation provided here at The Elbowroom Escape. The elbowroom escape is a treasure nestled in the Wicklow landscape. This is perfect perfect for hikes, there are several trails you can walk from the lodge. 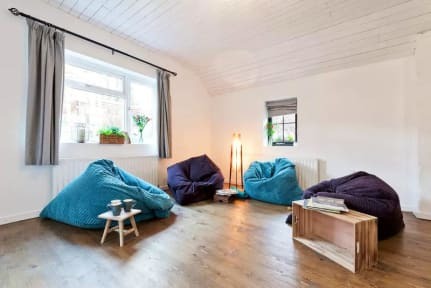 Or you can just relax in our bean bag room by the fire. We are only minutes away from Donard. We are all about texture, our rooms are a treat for the fingertips as well as the eyes. Each bed is 5 star hotel grade with pocket springs and memory foam. Beautiful materials, quality linens, fixtures and fittings that were individually chosen for each room bring a boutique hotel chic to this rustic retreat. Rooms are all ensuite with superior facilities. Reception: Limited reception - agreed meeting/arrival times required. Your credit card details will be required on arrival and held on the system to cover any damage to the property during your stay with us.